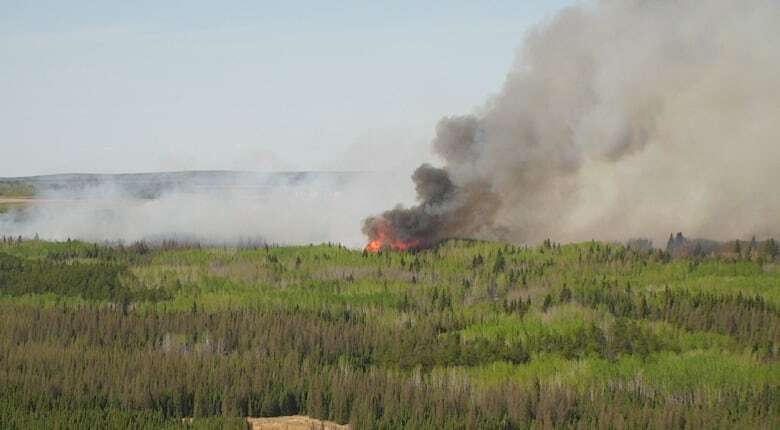 Crews battling out-of-control wildfire in Westlock County, Alta. Warm, windy spring weather and dry conditions are fanning the flames of fires throughout the province, including an out-of-control blaze near Vimy in Westlock County. Warm, windy spring weather and dry conditions are fanning the flames of fires throughout the province, including an out-of-control blaze near Vimy, Alta., in Westlock County. The fire started Saturday afternoon at about 3:30 p.m., said Leo Ludwig, the county's chief administrative officer. One day later, it was 150 hectares in size — about 1.5 square kilometres — and growing, he said. 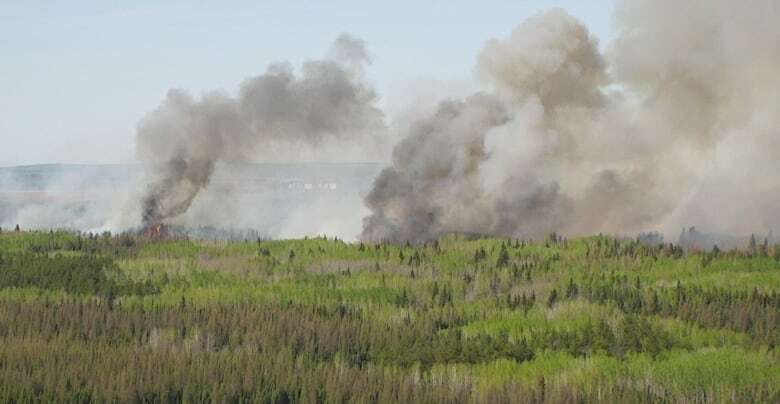 The fire is burning in an area known as the Athabasca Landing Trail in the Echo Lake region, located between Range Road 241A and Township Road 593A. The area is a 20-minute drive east of Vimy, a hamlet of about 200 people that is 60 kilometres north of Edmonton. There have been no evacuations yet, but there are five families on alert and prepared to leave if necessary, Ludwig said. Thirty firefighters from Westlock, Thorhild and Sturgeon counties are battling the blaze. Equipment includes two helicopters plus air tankers and bulldozers. Ludwig said the crews on Sunday had been trying to set up fire guards to stop the spread of the fire. Westlock County implemented a series of fire restrictions on April 30 which mostly affects fireworks, backcountry fires, burn barrels and large brush fires, all of which require permits. Campground and background fires are still allowed, provided they are a safe distance from buildings, property lines or combustible materials. The weekend has been busy for rural firefighters in the Edmonton region. Two large fires that started Saturday near Bruderheim — one in Lamont County, the other in Strathcona Country — were also still being fought on Sunday.